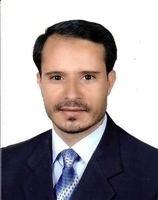 The Yemeni Islah party of Al Dhala in condemns in the strongest terms the criminal action that targeted the leader of the southern resistance and the national army Taher Moassaed Naji Al Aoqla on Wednesday 31 October 2018, by detonating his car with an explosive device that killed four of his companions and wounded others. 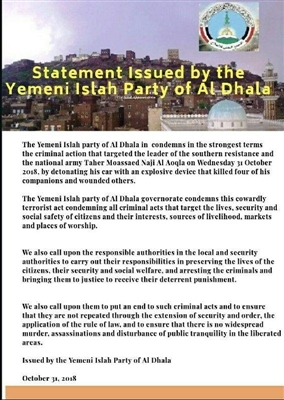 The Yemeni Islah party of Al Dhala governorate condemns this cowardly terrorist act condemning all criminal acts that target the lives, security and social safety of citizens and their interests, sources of livelihood, markets and places of worship. 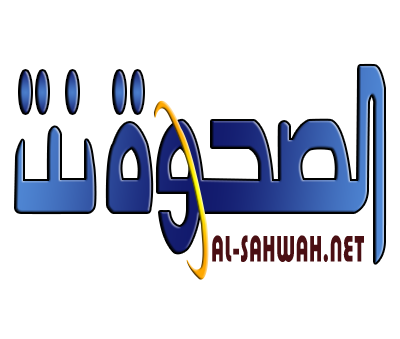 We also call upon the responsible authorities in the local and security authorities to carry out their responsibilities in preserving the lives of the citizens, their security and social welfare, and arresting the criminals and bringing them to justice to receive their deterrent punishment. 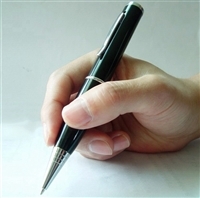 We also call upon them to put an end to such criminal acts and to ensure that they are not repeated through the extension of security and order, the application of the rule of law, and to ensure that there is no widespread murder, assassinations and disturbance of public tranquility in the liberated areas.